Climate change and the interruption of wildfires due to past forest management are creating uncharacteristic late seral forest conditions within dry forest (Eastern Oregon) riparian areas. Recent wildfires illustrate the potential for dramatic changes in riparian forested cover at scales inconsistent with historic patterns/observations. 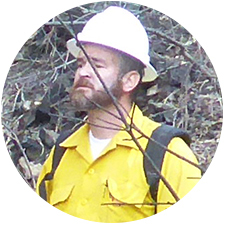 This presentation will focus on observations and insights into riparian areas (valley characteristic influence on forested seral conditions), science around processes and functions of riparian areas, management activities that have been successfully implemented through shared learning, integrated planning, and tradeoffs between maintaining the status quo versus active management in riparian areas.